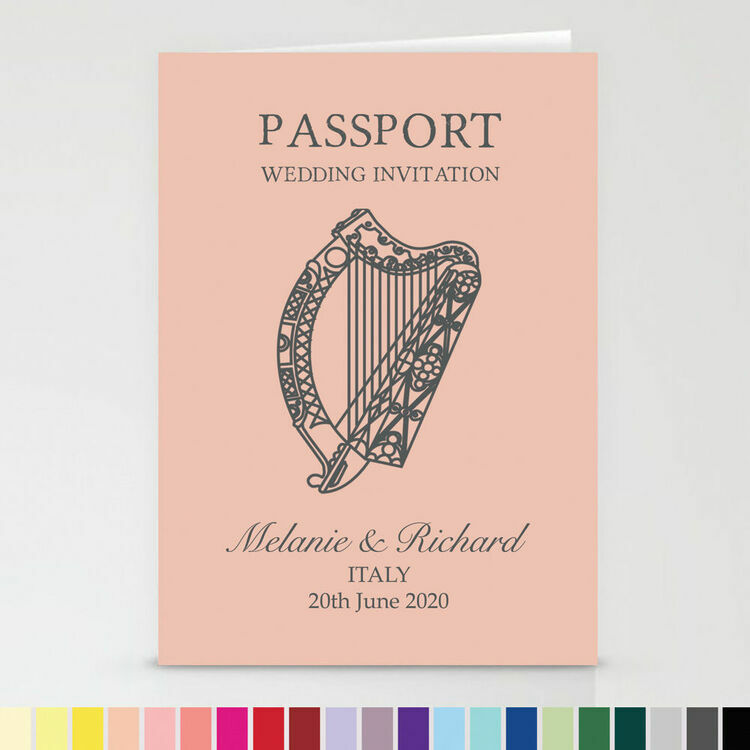 Whether you're planning a wedding on the Emerald Isle, or you're flying from Ireland to a faraway wedding destination, our Irish-themed passport is the perfect way to invite your guests. 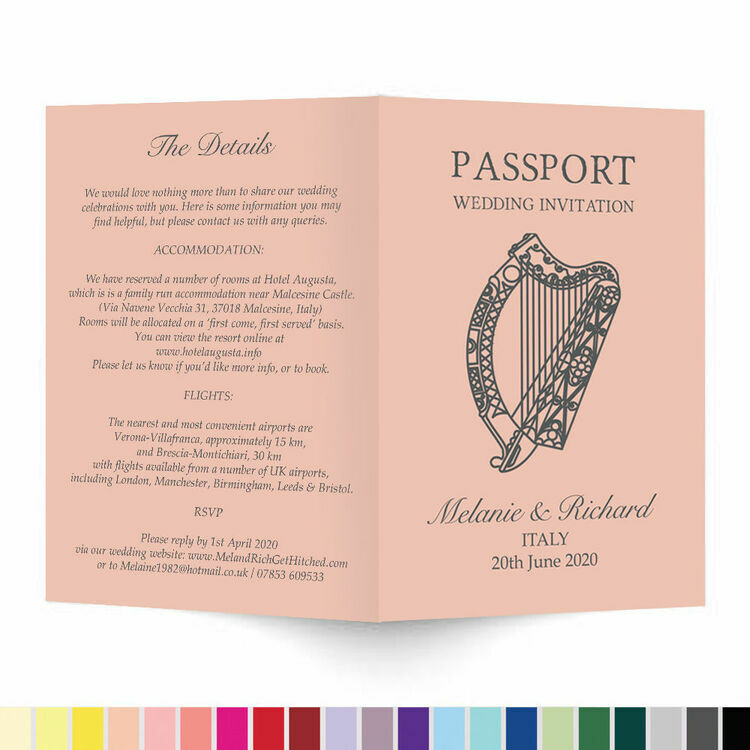 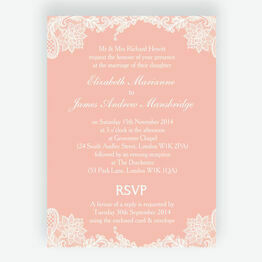 These invitations are styled like a traditional ROI passport and are available in any colour, perfect for matching your chosen colour scheme. 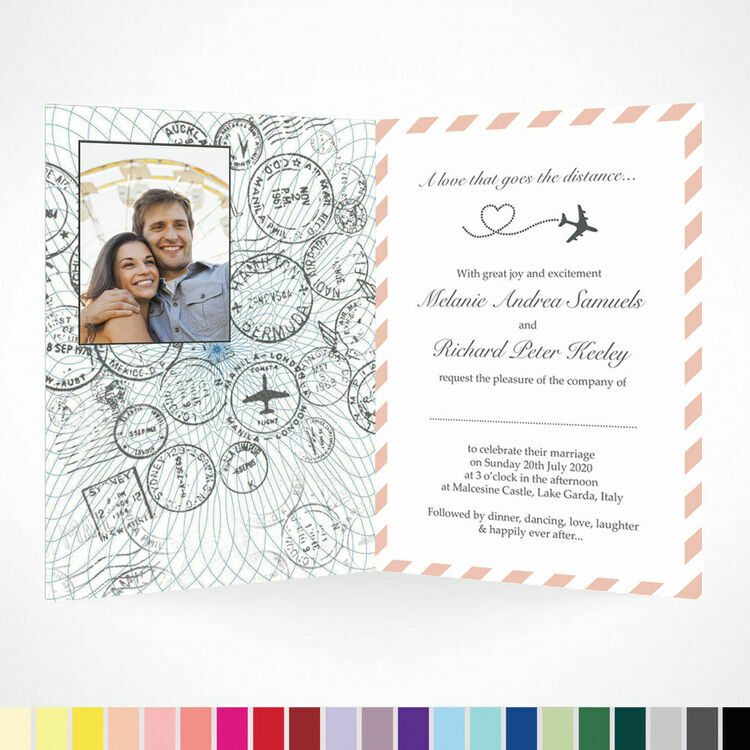 Give a glimpse of what's to come for your destination wedding, with an Irish harp emblem on the front and plenty of room for the details inside and on the back. 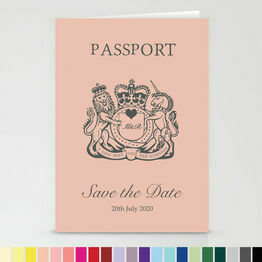 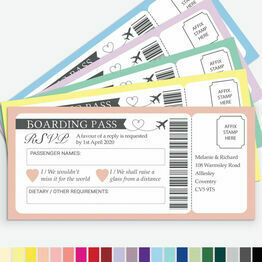 From pinks to reds and blues to greens, we customise the front and back of the passport in your chosen colour. 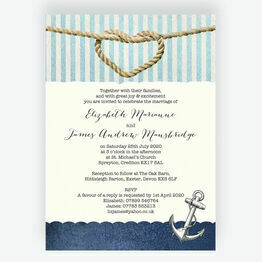 We can even add a photo of the happy couple in the inside, adding an extra personal touch. 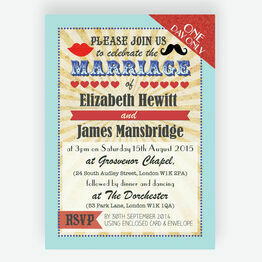 After ordering, please email us your photo (hello@hiphiphooray.com) and we will insert it for you. 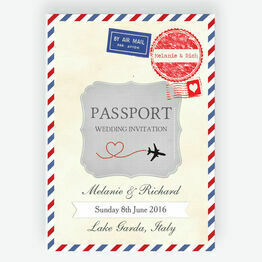 If you do not want a photo included or we do not hear from you within 24 hours we will print your order without a photo. 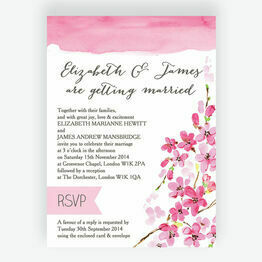 You will receive a design preview by email within 2 working days of placing your order. 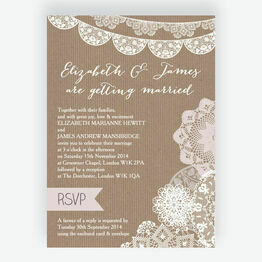 Once you have received your preview by email, you will be entitled to one free set of amendments. 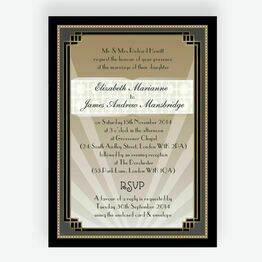 Further amendments will be quoted for individually. 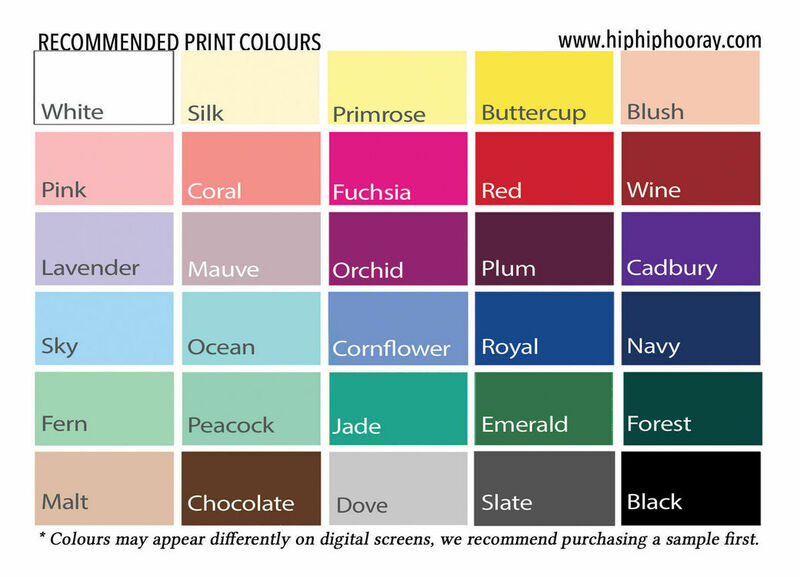 Once you are happy with your preview, we will print and dispatch your order.